TALLAHASSSEE, Fla. – Freshly minted with a No. 9 national ranking, the Florida State men’s basketball team won’t have to wait long to prove itself worthy of its recognition. The Seminoles, winners of 11 straight games, host No. 7 Duke Tuesday at the Donald L. Tucker Center in what will be the first top-10 matchup in Tallahassee since 1993. The game is sold out and fans are encouraged to arrive early. The Seminoles are off to one of the best starts in school history. Their 11 consecutive wins match a school record, they’re 3-0 in ACC play for the first time ever and they’ve won three games against ranked opponents for the first time since 2012. As a result, the college basketball world has taken notice: FSU has steadily climbed the national rankings – from unranked a little more than a month ago to No. 9 this week. That’s FSU’s highest ranking since checking in at No. 6 in 1993. So whereas FSU’s annual matchups with Duke have traditionally been David-versus-Goliath affairs, this year might be more Goliath versus Goliath. FSU coach Leonard Hamilton said that his team is enjoying its new standing among college hoops’ heavyweights. But getting there, he said, is not nearly as significant as staying there. And if they want to stay there, the Seminoles can’t suffer a letdown against Duke. That said, a few things seem to be aligning in Florida State’s favor. First and foremost, the Blue Devils will be without iconic coach Mike Krzyzewski, who is in the midst of a leave of absence after undergoing back surgery last week. Assistant Jeff Capel is serving as the de facto head coach in Krzyzewski’s absence. And the Blue Devils will be shorthanded on the court as well, as Amile Jefferson, Duke’s fifth-year senior forward, will miss the game with a foot injury. Jefferson had averaged 13.6 points and 10.1 rebounds per game when he injured his foot during last week’s win at Boston College. His absence ought to tilt things toward the Seminoles, but, as Hamilton noted, the Blue Devils have a roster full of NBA prospects. That includes sophomore Luke Kennard, the ACC’s fourth-leading scorer (20.3 points per game) and infamous junior Grayson Allen (15.6 points per game), who returned to the lineup last week after serving a one-game suspension. Duke, of course, is used to hostile crowds, and the Blue Devils typically play in front of one when they visit Tallahassee. But, given the circumstances – the Tucker Center is sold out for the first time since a heavy renovation in 2014 – Tuesday night could present a different atmosphere than what they’ve seen before. After all, with the Seminoles hosting their first top-10 matchup in nearly 25 years, it will be a different atmosphere than almost everyone in attendance has seen before. 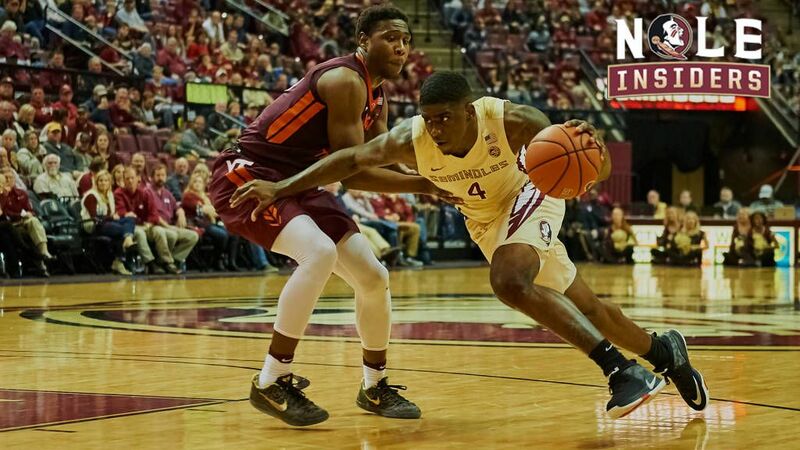 Tucker Center doors will open for Tuesday’s 8PM Florida State versus Duke men’s basketball game at 6:30PM. Will call windows will also open at 6:30PM. Fan are encouraged to arrive early to avoid traffic and wait times to enter the arena. Parking is $8 at the St. Augustine parking garage (Turnbull Center) and state parking garages D and E off of West Madison between Bronough and Duval Streets. Additional parking is available at Kleman Plaza and at the FSU lot on Pensacola west of South Copeland.